Repealing Obamacare and reversing regulations top the new Congress' to-do list | Circa News - Learn. Think. Do. 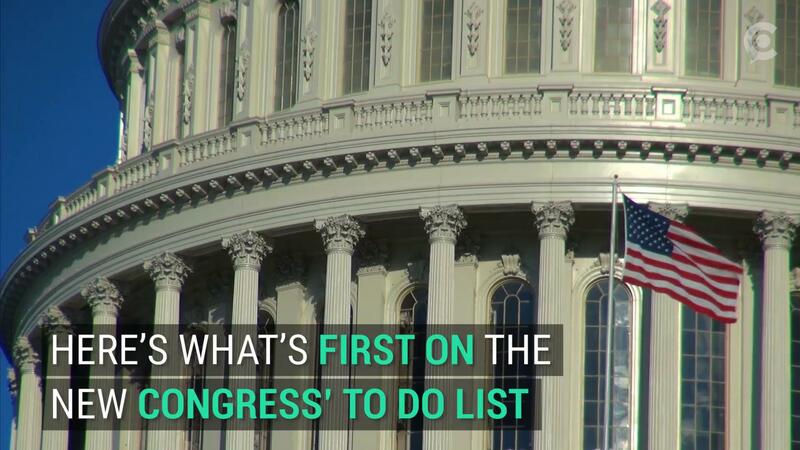 WATCH |It's the first day of work for the new, Republican-controlled Congress and they will need to hit the ground running to start checking off items on their lengthy to-do list. Here are a few of the 115th Congress' top priorities. Many GOP lawmakers ran on a vow to repeal and replace President Obama's Affordable Healthcare Act and now its time for them to come up with a plan. Repealing the law won't be easy, and it could take several years and billions of dollars to replace it. Republicans are meeting with Vice President-elect Mike Pence on Wednesday to strategize while Democrats meet with Obama to come up with their own battle plan to shield the law. The Senate will have to get busy holding hearings for the new Cabinet nominees right away. First up is Trump's Attorney General pick Sen. Jeff Sessions. Democrats have vowed to stall hearings for Sessions and seven other nominees, but Republicans will likely push for speedy confirmation votes. GOP lawmakers are champing at the bit to undo hundreds of the Obama administration's federal regulations on businesses. House Republicans already have two bills they plan to take up to address the issue. The REIGNS Act would require Congress to approve any new major regulations and the Midnight Rules Act would allow Congress to disapprove new regulations. House Republicans are also working on a resolution to denounce the U.N.'s recent vote to condemn Israeli settlements in the West Bank. The House will vote Thursday to condemn the U.N. resolution, according to a joint statement from House Majority Leader Kevin McCarthy (R-Calif.) and House Foreign Affairs Chair Ed Royce (R-Calif.). Trump is expected to nominate a new Supreme Court justice soon. His pick will have to be confirmed by the Senate and Democrats have already signaled that they are gearing up for a fight. Unlike with Cabinet nominees, Democrats can try to filibuster a confirmation vote for a Supreme Court justice. But Republicans can move to change the Senate rules so that only a simple majority vote is required to confirm a justice, effectively removing the Democrats' "nuclear option."